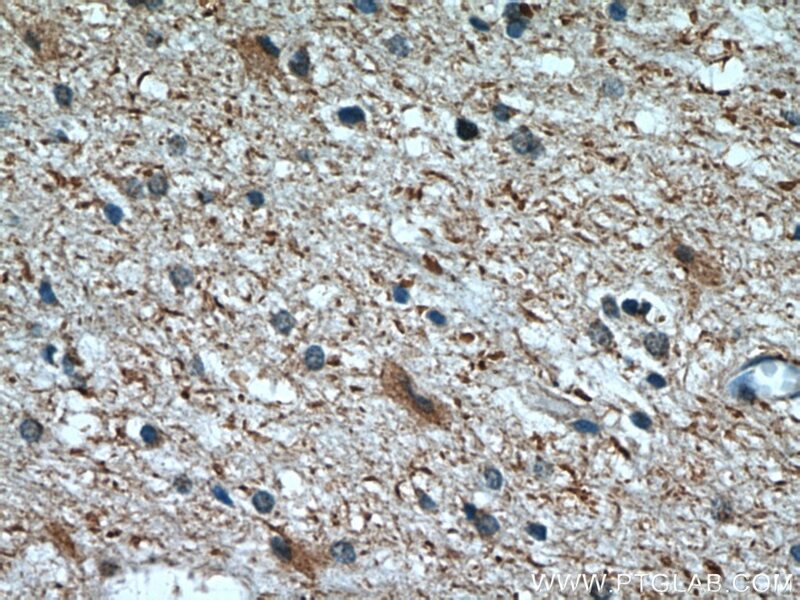 IF result (endosomal stain) of anti-CHMP2B (12527-1-AP) with the cell (PFA fixed) which has been treated with siRNA for VPS4 by Dr. Philip Woodman. 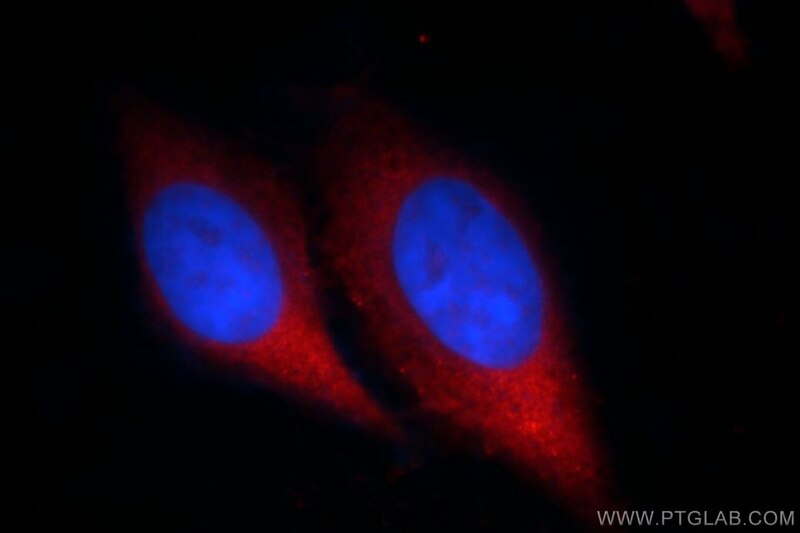 Immunofluorescent analysis of HepG2 cells, using CHMP2B antibody 12527-1-AP at 1:25 dilution and Rhodamine-labeled goat anti-rabbit IgG (red). Blue pseudocolor = DAPI (fluorescent DNA dye). CHMP2B, chromatin-modifying protein 2b, also named as CHMP2.5, VPS2B and VPS2 2, belongs to the chromatin-modifying protein / charged multivesicular body protein (CHMP) family. 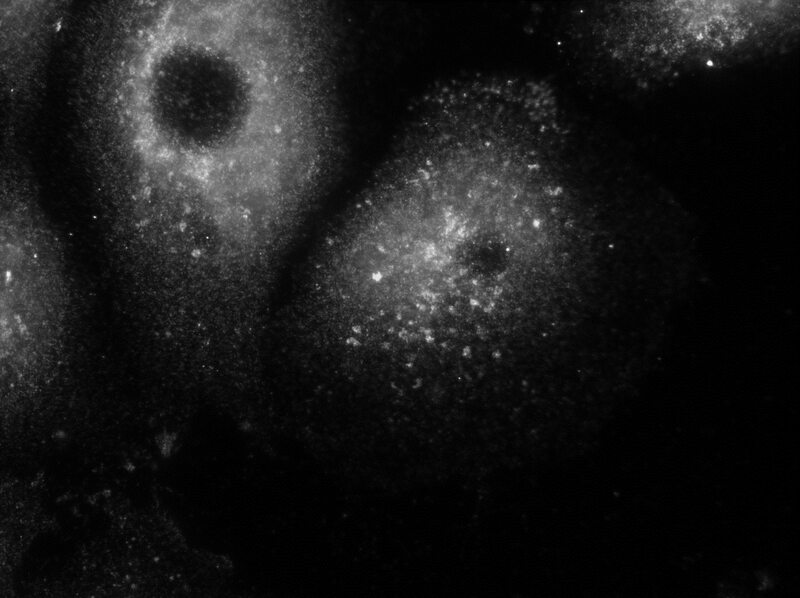 It is a component of endosomal sorting complex required for transport III (ESCRT-III), which involves in endosomal and autophagic trafficking of proteins to lysosomes for degradation. 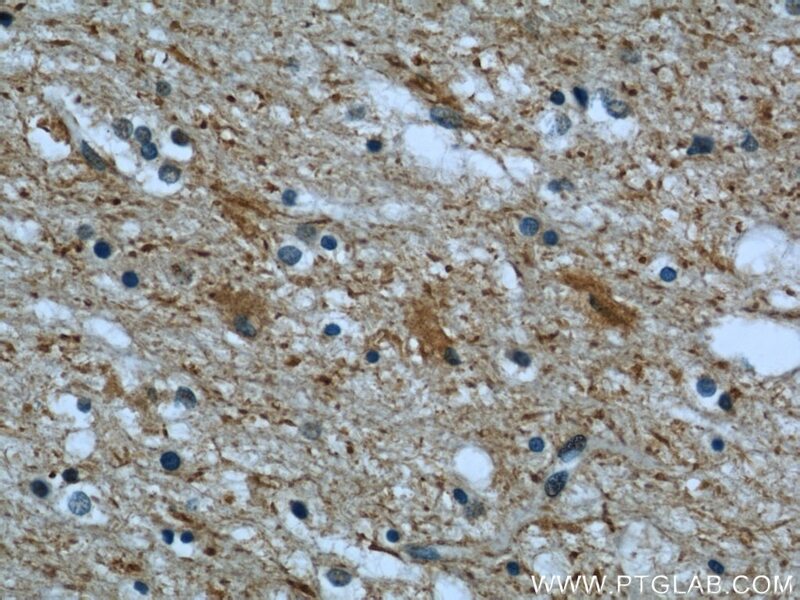 Mutations of CHMP2B lead to C-terminal truncation or been replaced with mis-splicing C-termini and cause frontotemporal lobar degeneration (FTLD). 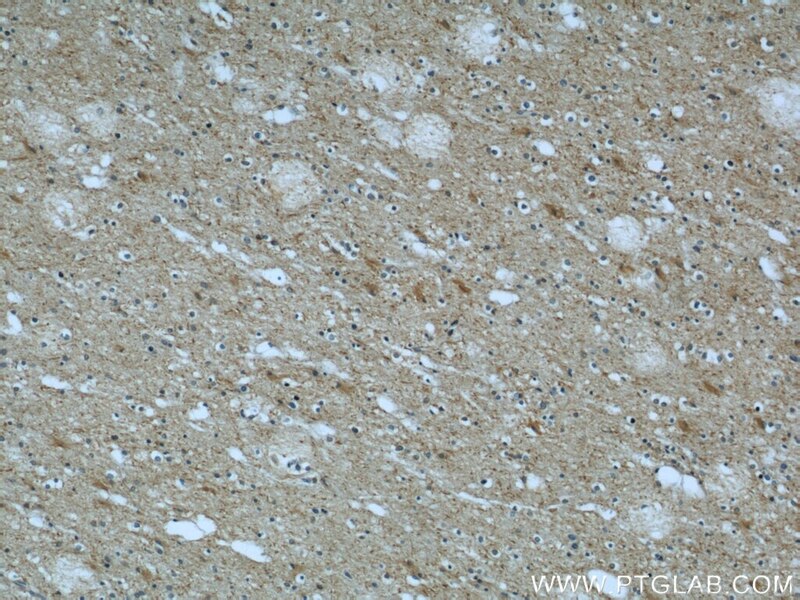 In CHMP2B mutation patients, p62- and ubiquitin-positive, but TDP-43 and FUS negative neural inclusions are formed, maybe caused by impaired lysosomal degradation through the autophagy and endosome-lysosome pathways. 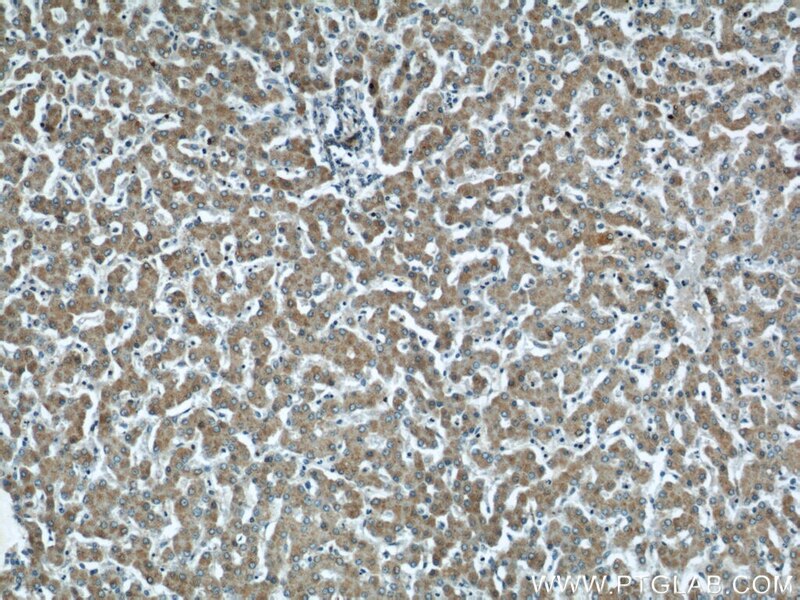 Iron regulatory protein 1 suppresses hypoxia-induced iron uptake proteins expression and decreases iron levels in HepG2 cells. 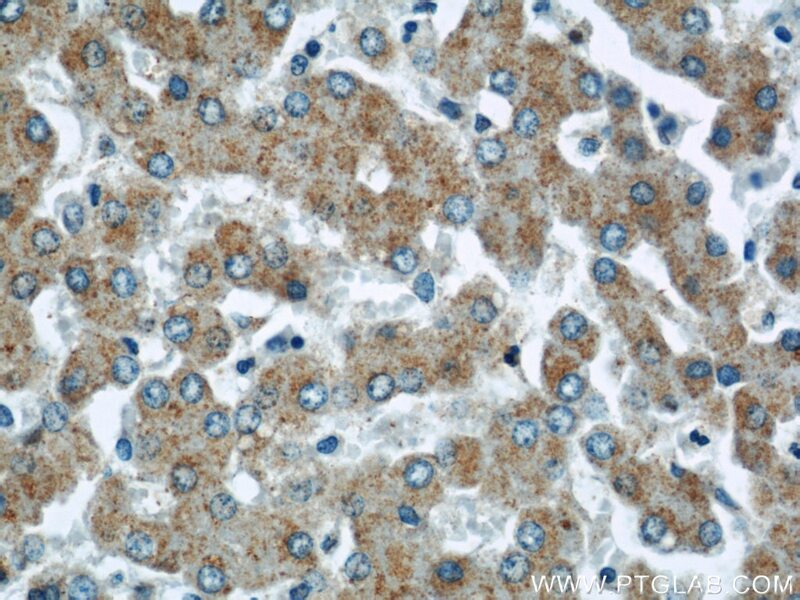 Downregulation of vimentin expression increased drug resistance in ovarian cancer cells. VPS4 is a dynamic component of the centrosome that regulates centrosome localization of γ-tubulin, centriolar satellite stability and ciliogenesis. iASPP-PP1 complex is required for cytokinetic abscission by controlling CEP55 dephosphorylation. Characterization of Divalent Metal Transporter 1 (DMT1) in Brugia malayi suggests an intestinal-associated pathway for iron absorption. 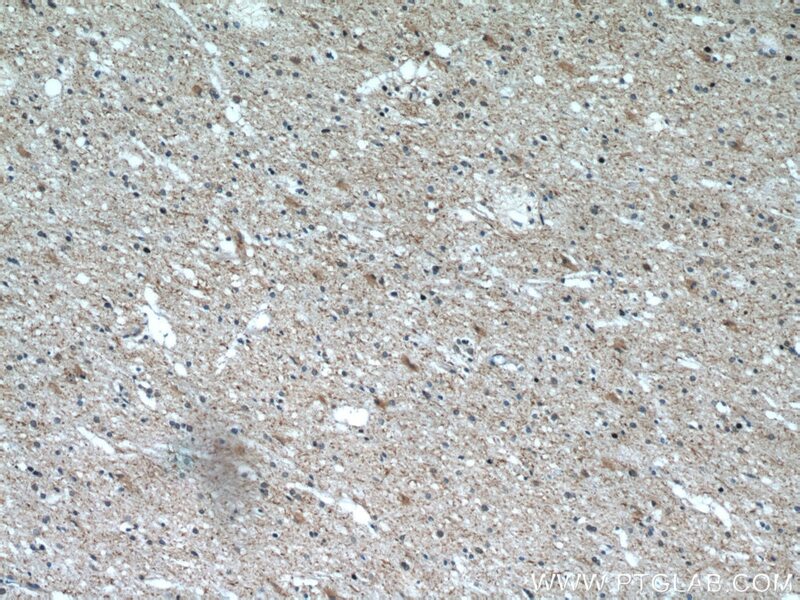 Allicin attenuated chronic social defeat stress induced depressive-like behaviors through suppression of NLRP3 inflammasome.